Financial engineering is a multidisciplinary field involving financial theory, methods of engineering, tools of mathematics and the practice of programming. It has also been defined as the application of technical methods, especially from mathematical finance and computational finance, in the practice of finance. Despite its name, financial engineering does not belong to any of the fields in traditional professional engineering even though many financial engineers have studied engineering beforehand and many universities offering a postgraduate degree in this field require applicants to have a background in engineering as well. In the United States, the Accreditation Board for Engineering and Technology (ABET) does not accredit financial engineering degrees. In the United States, financial engineering programs are accredited by the International Association of Quantitative Finance. Mathematical finance, also known as quantitative finance, is a field of applied mathematics, concerned with mathematical modeling of financial markets. Generally, mathematical finance will derive and extend the mathematical or numerical models without necessarily establishing a link to financial theory, taking observed market prices as input. Mathematical consistency is required, not compatibility with economic theory. 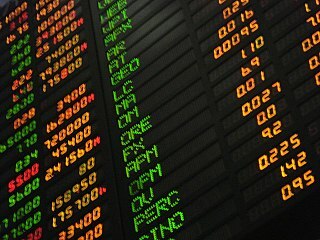 Thus, for example, while a financial economist might study the structural reasons why a company may have a certain share price, a financial mathematician may take the share price as a given, and attempt to use stochastic calculus to obtain the corresponding value of derivatives of the stock. The fundamental theorem of arbitrage-free pricing is one of the key theorems in mathematical finance, while the Black–Scholes equation and formula are amongst the key results. 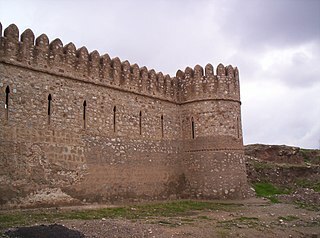 Kirkuk is a city in Iraq, serving as the capital of the Kirkuk Governorate, located 238 kilometres north of Baghdad. Kirkuk lies in a wide zone with an enormously diverse population and has been multilingual for centuries. There were dramatic demographic changes during Kirkuk's urbanization in the twentieth century, which saw the development of distinct ethnic groups. Kurds, Iraqi Turkmen, Arabs, Chaldeans, and Assyrians lay conflicting claims to this zone, and all have their historical accounts and memories to buttress their claims. Istanbul, historically known as Byzantium and Constantinople, is the most populous city in Turkey and the country's economic, cultural and historic center. Istanbul is a transcontinental city in Eurasia, straddling the Bosporus strait between the Sea of Marmara and the Black Sea. Its commercial and historical center lies on the European side and about a third of its population lives on the Asian side. With a total population of around 15 million residents, Istanbul is one of the world's most populous cities, ranking as the world's fourth-largest city proper and the largest European city. The city is the administrative center of the Istanbul Metropolitan Municipality. Istanbul is viewed as a bridge between the East and West. Neftci was diagnosed with Gliosarcoma, a type of malignant brain cancer and died on April 15, 2009. In November 2009, the Salih Neftci Memorial Scholarship Fund  was endowed in perpetuity at Baruch College to help promote education and awareness of the financial engineering field of study. Salih was one of the most productive researchers in financial engineering and taught in the areas of numerical methods of asset pricing, the mathematics of financial derivatives, emerging market asset trading strategies, and advanced risk management. Early in his career, Neftci specialized in econometrics and macroeconomics. He produced classic papers on relationships among aggregate time series, especially wages and employment, over the business cycle, which appeared in the very best journals in economics and statistics, including Econometrica , the Journal of Political Economy , the Journal of the American Statistical Association , and the Review of Economics and Statistics . Starting in the late 1980s, he turned his attention to finance and produced seminal books on the mathematics of financial derivatives and the principles of financial engineering. Econometrics is the application of statistical methods to economic data in order to give empirical content to economic relationships. More precisely, it is "the quantitative analysis of actual economic phenomena based on the concurrent development of theory and observation, related by appropriate methods of inference". An introductory economics textbook describes econometrics as allowing economists "to sift through mountains of data to extract simple relationships". The first known use of the term "econometrics" was by Polish economist Paweł Ciompa in 1910. Jan Tinbergen is considered by many to be one of the founding fathers of econometrics. Ragnar Frisch is credited with coining the term in the sense in which it is used today. Paul Wilmott is an English researcher, consultant and lecturer in quantitative finance. He is best known as the author of various academic and practitioner texts on risk and derivatives, for Wilmott magazine and Wilmott.com, a quantitative finance portal, and for his prescient warnings about the misuse of mathematics in finance. At the time of his death, he was Professor of Economics at the New School University in New York City, Director of the Master of Arts Program in Global Political Economy and Finance at that university,  Director of the Financial Engineering and Asset Management (FAME) Certificate Program at the Swiss Finance Institute and the University of Lausanne in Switzerland, a frequent lecturer in finance at the Hong Kong University of Science and Technology and at the International Capital Market Association Centre (ICMA) in the Business School for Financial Markets at the University of Reading in England, a consultant to the International Monetary Fund, the World Bank, the U.S. Department of State, and the Agency for International Development, and a newspaper columnist in Turkey and China. He held a seat on the Fitch Ratings Advisory Board from its inception in 2005. Robert Cox Merton is an American economist, Nobel Memorial Prize in Economic Sciences laureate, and professor at the MIT Sloan School of Management, known for his pioneering contributions to continuous-time finance, especially the first continuous-time option pricing model, the Black–Scholes formula. In 1993 Merton co-founded hedge fund Long-Term Capital Management. In 1997 he received the Nobel Prize for his contributions in Economics. 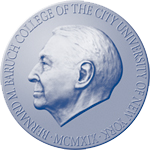 Baruch College is a public research university in New York City. It is a constituent college of the City University of New York system. 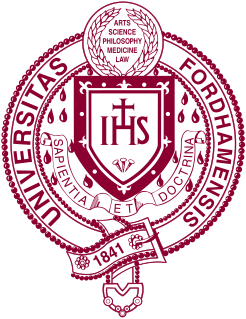 Named for financier and statesman Bernard M. Baruch, the college operates undergraduate, masters, and Ph.D. programs through its Zicklin School of Business, the Weissman School of Arts and Sciences, and the Marxe School of Public and International Affairs. A quantitative analyst is a person who specializes in the application of mathematical and statistical methods – such as numerical or quantitative techniques – to financial and risk management problems. The occupation is similar to those in industrial mathematics in other industries. Financial modeling is the task of building an abstract representation of a real world financial situation. 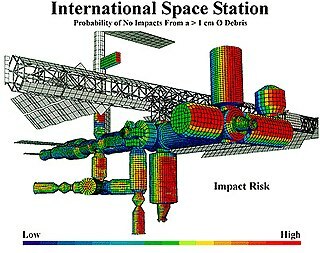 This is a mathematical model designed to represent the performance of a financial asset or portfolio of a business, project, or any other investment. Bahçeşehir University (BAU) is a private educational institution in Turkey, located at the European side of Istanbul. The Turkish National Assembly authorized the establishment of the University of Bahçeşehir by the Bahçeşehir Uğur Education Foundation in 1998. An academic and strategic protocol was signed shortly after with San Diego State University in California, USA. The enrollment of the first students was made after the first placement exam (ÖSYS) in 1999–2000 academic year. The university is one of the few universities in Turkey which has it lectures in English and therefore students applying to BAU are required to have high English proficiency. The Zicklin School of Business is Baruch College's business school. It was established in 1919 and is named after financier and alumnus Lawrence Zicklin. The current dean is H. Fenwick Huss, formerly dean of the J. Mack Robinson College of Business at Georgia State University. Zicklin is the only unit of the City University of New York that is accredited by the Association to Advance Collegiate Schools of Business (AACSB). The Weissman School of Arts and Sciences is a school within Baruch College of the City University of New York, named after George Weissman, former president of Philip Morris, along with his wife Mildred; both were alumni of the school. The Weissman School is one of the three schools that comprise Baruch College and offers the Bachelor of Arts degree in various disciplines. While the Zicklin School of Business is Baruch's largest school, Weissman offers a majority of the courses in the required core curriculum for undergraduates. A masters degree in quantitative finance concerns the application of mathematical methods to the solution of problems in financial economics. There are several like-titled degrees which may further focus on financial engineering, financial risk management, computational finance and/or mathematical finance. Jim Gatheral is a researcher in the field of mathematical finance, who has contributed to the study of volatility as applied to the pricing and risk management of derivatives. A recurrent subject in his books and papers is the volatility smile, and he published in 2006 a book The Volatility Surface based on a course he taught for six years at New York University, along with Nassim Taleb. More recently his work has moved in the direction of market microstructure, especially as applied to algorithmic trading. He is the author of The Volatility Surface: A Practitioner's Guide. Mark Edward Rubinstein is a leading financial economist and financial engineer. He is Professor of Finance at the Haas School of Business of the University of California, Berkeley. Doğuş University, is a foundation university located Acıbadem, Kadıköy, İstanbul. It stands on the lower side of Acıbadem Hill. Moorad Choudhry was formerly Head of Business Treasury, Global Banking and Markets at Royal Bank of Scotland plc. A master's degree in Financial Economics provides a rigorous understanding of theoretical finance and the economic framework upon which that theory is based. The degree is postgraduate, and usually incorporates a thesis or research component. Programs may be offered jointly by the business school and the economics department. The Professional Risk Managers' International Association (PRMIA) is a professional organization focused on the "promotion of sound risk management standards and practices globally", and "the integration of practice and theory"; it was founded in 2002 as a non-profit. It provides certification and credentialing for professional risk managers, as well as other educational programs and resources. ↑ Paul Wilmott Introduces Quantitative Finance (Wiley 2001), pp 136.